Islands covering our [kitchen] island. 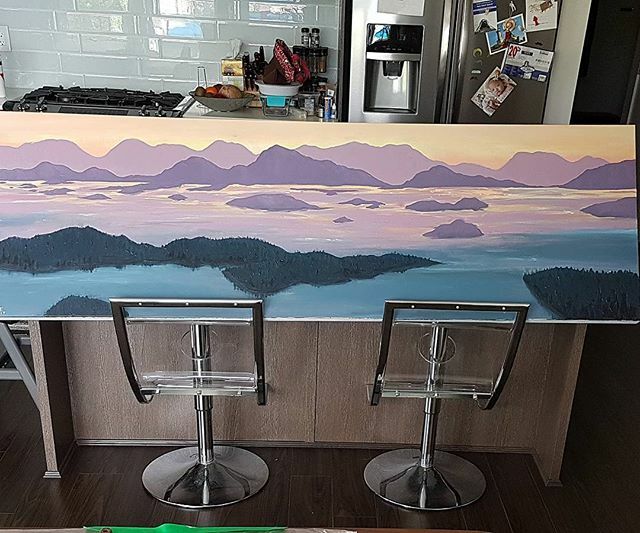 Finally done painting the San Juan Islands For the McMynn family! The Mcmynns have nostalgic memories of summers spent enjoying these islands. They plan to hang this in their family room and I hope they enjoy reminiscing upon it for years to follow. This piece took months of studying maps, composition planning, colour swatching, and 3 painstaking revisions (I made the rookie mistake of underestimateding how much acrylics darken as they dry). Hoo boy it feels liberating to see this completed!